Pairings. It’s what’s for dinner. Or with dinner. Or it’s just totally in now to know about these kind of first world shenanigans. A good wine paired with a specific dish – described more as an art form than a scientific recipe – or a good craft beer (like an American lager with grain dishes) are the rage these days. On top of that, pairings have gone past culinary delights and into fine cigar pairings, which naturally led me to wonder what booze would go well with what books while I digested orange chicken and puffed on a Cuban. Here you have a town like no other, full of mountain men and survival. Can you think of anything other than whiskey? 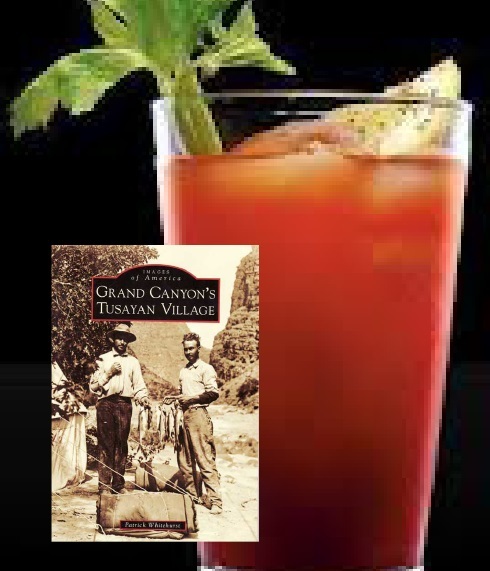 A smooth brand, Maker’s Mark perhaps, is recommended for this photographic trip into the history of the Gateway to the Grand Canyon. This pairing may not seem intuitive, but it stems from a personal story. Thirteen years ago I worked all too briefly on the local railway, which tugs visitors up and down the country from Williams to the South Rim. My favorite part of the job? Making drinks. Entertaining the tourists proved to be more difficult, but I can still smell the Bloody Mary so many of them ordered on the rails. When I wrote about the history of Tusayan years later, I could often picture that train going by and that smell hit me like a… freight train. To me, it’s the drink of Tusayan. 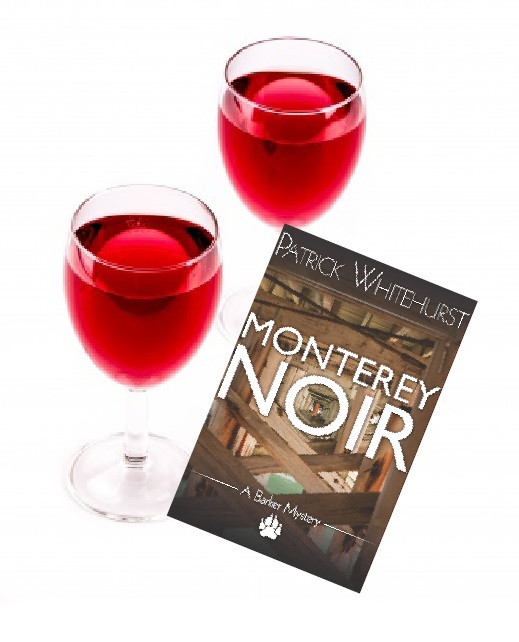 Bring a sense of noir into your mysterious mind by pairing the adventures of Barker and his pack of dogs with a decent red. 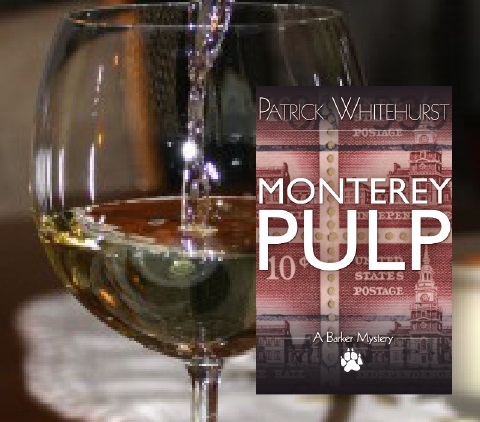 A cabernet sauvignon from local Monterey winery Pierce Ranch Vineyards would go well with these short, pulpy tales. Barker, who himself is a mix of Tarzan and Sherlock Holmes, carries a sense of classic pulp noir, told from a relaxed energetic demeanor. For that, red wine is fine. You’re sitting on a beach, maybe Asilomar or Del Monte, somewhere near or within Monterey Bay. Your bare feet enter the sand. Sun bakes your cheeks. It’s time to read. For that, paired with Barker’s exploits, you need a nice glass of white, maybe a chardonnay from Ventana Vineyards. that I did myself when I worked in a small town radio station, but nothing less than a strong, lip curling ale sounds right when delving into the antics of talk radio, whether we’re talking about national radio or regional radio, you need strong beer to make it better. Try something bitter from The Grand Canyon Brewing Company. Irish whiskey, strong coffee, some brown sugar, cream. 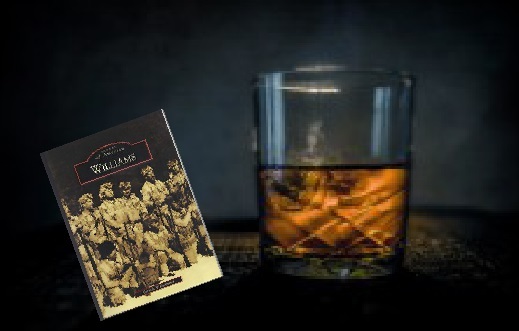 This is the edge found in the pages of Mantula, but in liquid form. Get that jolt of power. Get that crazy on. But sip slowly, make it last, and you may just find yourself as changed as Doug himself. I may not have written it, but I always felt he had a bit of the blarney in him anyway. 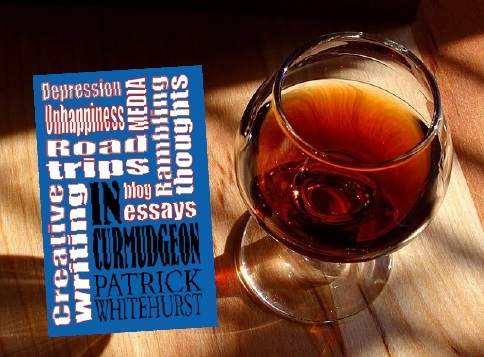 If you’re going to publish a collection of essays and rants, acknowledge the dreary side of being alive (something so many writers are afraid to explore and so many excel at doing), then why not do it in style. Nothing goes down like aged brandy, especially when talking about the run down, ragged world we all share. I’d go with Hennessy. Be sure to check out this awesome, comprehensive list of booze and book pairing when you’re nice and drunk. Clever. What about those of us who don’t drink coffee? 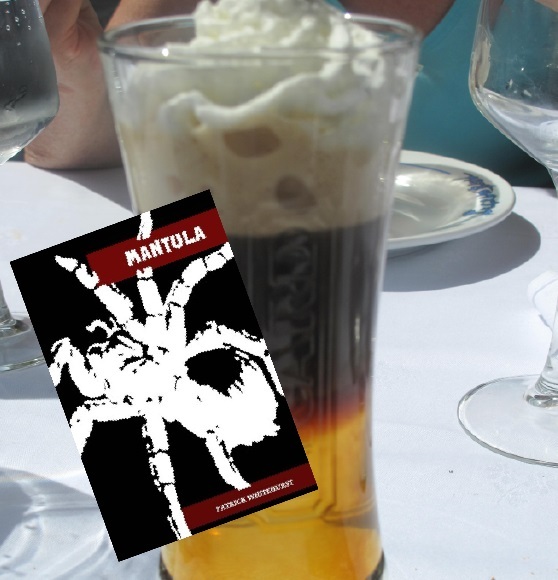 Is there another pairing you recommend for Mantula? How do you feel about Bailey’s? Well, I once had a love affair with Bailey’s, but now, as a vegan…nope. How cool would it be to have a vegan Bailey’s? Let’s call Mr. Bailey and ask him! I wonder if he’ll remember me. He probably still texts Mr. Kahlua to see if he’s heard anything from you. Captain Morgan is also in on the “have you heard from Kenda?” texting chain. Oh man. Captain Morgan. I have a vague recollection of my time with him. Sort of like how Mr. Beam wants follows me on all of my social media. I know, right? Jim (we’re on a first name basis) is such a stalker. That damn Jack too. Still, it’s better than Bud calling. As far as I’m concerned, Bud is a total loser that gives me a monumental headache. He’s piss water to me. He Who Shall Not Be Drunken. My real bud, Tom Collins and I, totally concur. I will have to meet him sometime. Sounds like a chill dude. He can be totally chill but sometimes delights me with a bubbly outburst. Once he was surprisingly tart. Always sweet tho. I should introduce you two. Sounds like the right kind of introverted bud. Yup. My favorite kind of bud. I wouldn’t say that around the Captain. Or in a crowd. I wonder what would happen if we got all these guys together, at once. Fun. All kinds of fun. Arrests might even be involved. And graffiti. We shurp shuring And forget it.